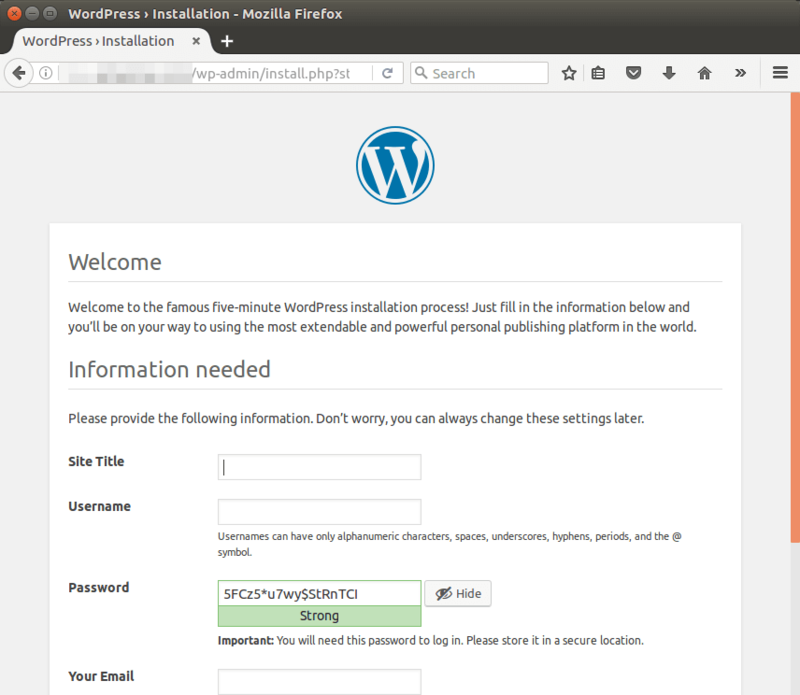 This tutorial is going to show you how to install WordPress on Ubuntu 17.10 with Nginx, MariaDB and PHP7.1 (LEMP Stack). WordPress is the most popular CMS (Content Management System) in the world. It is estimated that more than a quarter of websites today are powered by WordPress. PHP7.1 made into the Ubuntu 17.10 repository and WordPress runs perfectly with it. This tutorial assumes that you have already set up a LEMP stack on Ubuntu 17.10. If not, please check out the following tutorial. After finishing LEMP installation, come back here and read on. SSH into your Ubuntu 17.10 server and update existing software. Next, go to wordpress.org download page and download the zip archive. You can acquire the direct download link by right-clicking the download button and select copy link location. Then at the command line prompt, type in wget followed by the direct download link to download WordPress to your Ubuntu 17.10 server. Next, extract the zip archive using the command below. A new directory named wordpress will be created in the current working directory. Now We move this directory and all its content to Nginx web root. Replace example.com with you real domain name. Log into MariaDB shell as root with the following command. Then enter the command below to create a database user for WordPress. This command also grant all privileges of WordPress database to the user. 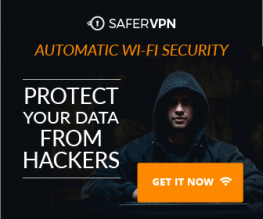 Replace wpuser and your-password with your preferred username and password. Flush the privileges table for the changes to take effect and then get out of MariaDB shell. Go to your WordPress directory. Copy the sample configuration file and rename it to wp-config.php. Now edit the new config file. Find the following lines and replace the red texts with the database name, username and password you created in the previous step. Save and close the file. We also need to set the Nginx user (www-data) as the owner of the WordPress site directory by using the following command. We will create the server block file in /etc/nginx/conf.d/ directory. The file name must end with .conf. Put the following texts into the file. Replace the red texts with your own domain name. Don’t forget to create A records for your domain name. Note that if you followed my LEMP tutorial and installed PHP7.2, you can change php7.1-fpm.sock to php7.2-fpm.sock to make Nginx use PHP7.2. Enter your domain name in browser address bar. You shall see the WordPress installation wizard. Select a language. If the installation wizard isn’t displayed, you probably need to install some PHP7 extensions. Then reload PHP-FPM and Nginx. The wizard should now be displayed. Create an admin account and click install WordPress button. And now your new WordPress site is installed. The Nginx configuration we created allows site visitors to access the website via both www and non-www domain. You can redirect one version to another by going to WordPress Dashboard > Settings > General. 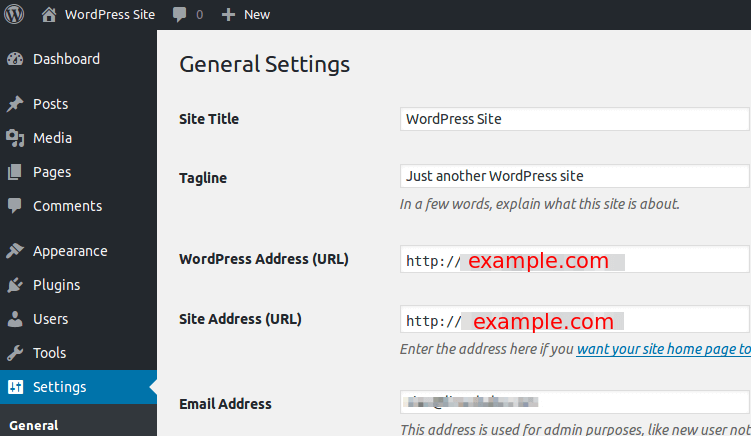 Then set WordPress Address and Site Address to your preferred version. 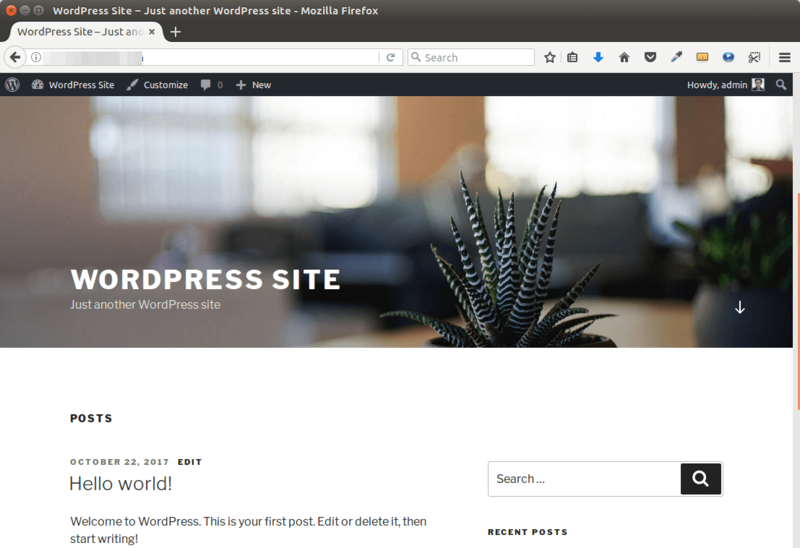 I hope this tutorial helped you install WordPress on Ubuntu 17.10 with Nginx, MariaDB and PHP7.1 (LEMP stack). As always, if you found this post useful, then subscribe to our free newsletter or follow us on Google+, Twitter or like our Facebook page. Thanks for visiting!